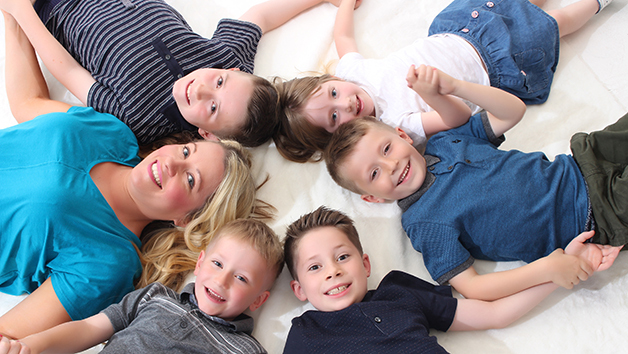 Situated in Manchester, Wild Ginger Photography is a professional family run studio that guarantees a day of fun and captures cherished memories that will last a lifetime. With this experience, get the family together and enjoy a photoshoot with background changes and up to two outfit changes. After the delightful photoshoot, it’s time for a private cinematic viewing of the photos! Take home a 12x8 print and 6x8 print to help remember the day by. Under 18s must be accompanied by an adult. Medical restrictions must be discussed at the point of booking. This voucher is valid for up to five people. Please bring outfits for the two outfit changes. There is a £25 refundable deposit and a 72 hour cancellation/rescheduling policy. There is a postage surcharge of £6.99. All prints are the same image.